Last week on I thought to myself "today is the perfect morning for pancakes." I then walked into the kitchen and realized I had all the ingredients to make this dream happen with the exception of milk...bummer...but wait, there's a whole boatload of chocolate milk in here and like...that's the same thing, right? Duh, light-bulb moment. 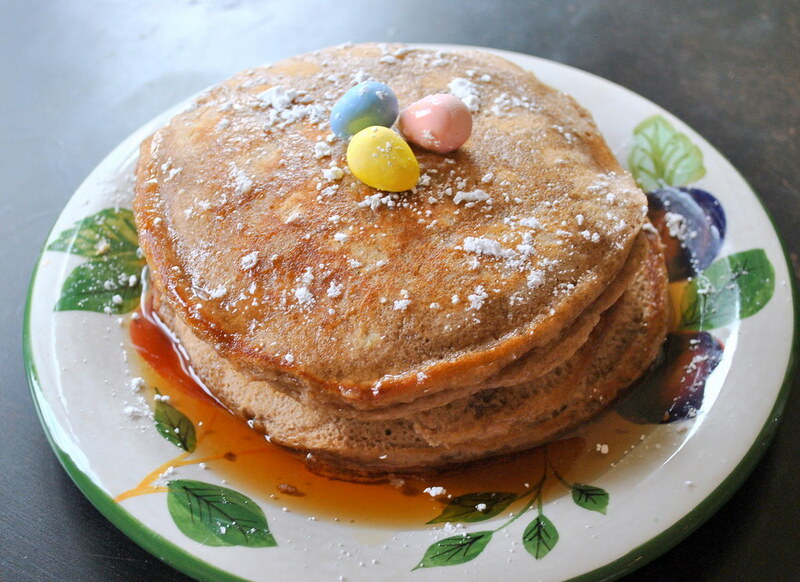 I tossed in some Cadbury mini eggs I had laying around (about four per pancake as they are huge) and boom - fancy pants chocolate chip pancakes, y'all. 1. Mix all dry ingredients together, then add in the wet. Whisk until fully combined. 2. On medium heat, drop a few tablespoons of the batter onto the greased pan at a time. 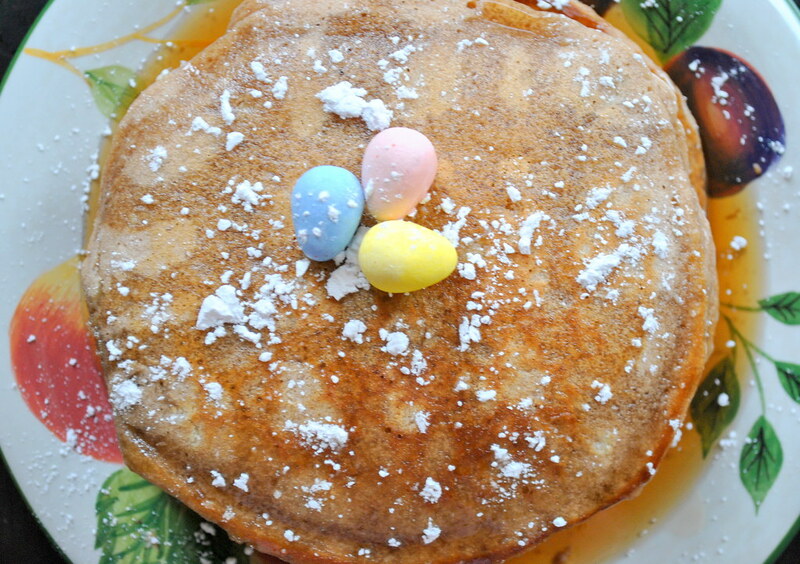 Drop in Cadbury eggs, then when the batter starts bubbling, flip it over. Cook for another minute on the the other side then start stacking them up to serve! These sound amazing. Plus the cadbury eggs on top make my mouth water!